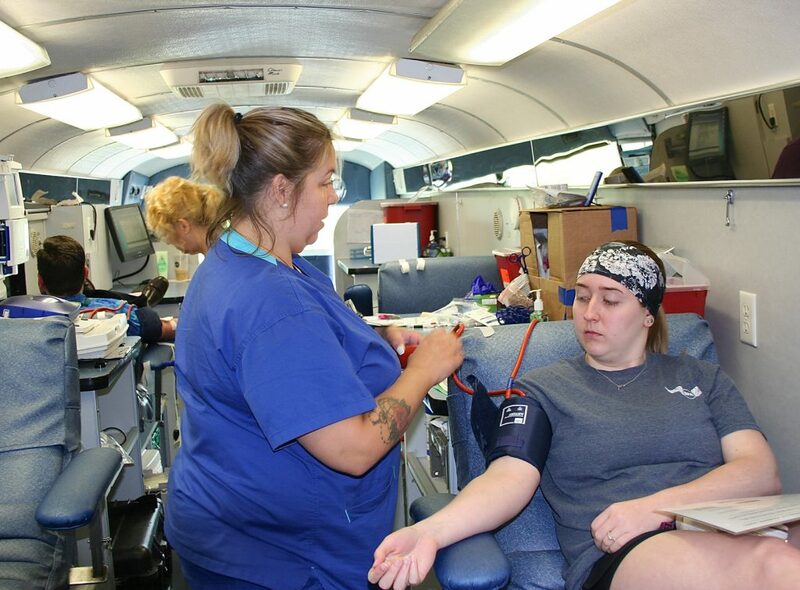 Students at the PJC-Sulphur Springs Center and others in the community had the opportunity this week to donate blood during a drive sponsored by the Blend Club, a service organization campus. Carter BloodCare signed up nearly a dozen donors. One of the donors was student Ragan Sachs of Sulphur Springs, above, who was being assisted by Carter BloodCare specialist Krystal Rocka.